We’re back to lay out how position ranks will play out for you this season. Hey everyone! Ed “SapMagic” Altorfer here, back again to talk about Ranked. In our latest video we detailed how position ranks work, how we’re planning to roll it out in a couple stages, and how we’re preventing players from abusing the system. In this article, we’re going to cover what position ranks might be like for you based on how you play and how we tested position ranks. A big problem with Ranked is how off-position games can feel less winnable, fun, and fair, especially since you can’t always get your main position. Even if we removed Autofill—which would triple or quadruple queue times for everyone—you might sometimes want to play a different position for a change of pace, which often puts your team at a disadvantage. We believed we could address both of these and give you a better picture of how good you are by tracking and displaying your skill by position—basically, position ranks. Position ranks required major updates to matchmaking, MMR, and Ranked, systems that require us to play thousands or even millions of games to reliably catch bugs. That’s not really possible to do without going to live, but at the same time we wanted the Ranked overhaul to be as smooth as possible. To deal with this, we built new tools to help us replay tons of historical games, allowing us to be more confident and—hopefully—reduce the number of bugs that make it into your games. Basically, with these tools we can simulate what your position ranks would look like this season if you played the same way as last season. Let’s run through a few examples, which should give you an idea of what to expect. Your climb is pretty similar to last year, but your games feel more winnable and you have a clear picture of how good you are at the other positions you play. Let’s say you were Gold V last season and you usually queue for Mid/Top, which is the most popular position combination globally. Over your first 50 games, you play 34 Mid games, 13 Top, and three in other positions—thanks, Autofill. Your first Mid game nets you a provisional rank of Bronze I—a bit low, but you’ve got seven more games to go, and since you don’t lose LP during placements, you can only go up from there. By the end of placements, your record is 4-4 and you finish in Silver III. By your 50th game, you’ve crushed your Gold promos and you’re sitting at Gold III. Top plays out similarly, but you start your climb slightly lower than in Mid. You end up finishing your placements, plus a couple extra games, putting you in Silver II. You haven’t played enough games to place in the other positions, so your friends see your Mid and Top ranks in your profile. What if you throw your secondary and Autofill games? Splashing helps minimize the grind and keep Ranked competitive by allowing some of your LP gains and losses to “splash” over to other positions each game. On top of that, negative splashing changes based on your recent games in the position you’re playing. In the example above, if you throw many of those 16 secondary and Autofill games, negative splashing will become larger and start to hurt your progress in Mid. On the other hand, when you win secondary or Autofill games, splashing to your main position is boosted, so your best bet to rank up is to play your hardest and win as many of those games as possible. Your climb is similar to last year, but you can play new positions without hurting your team’s chances at winning. Alright, now let’s say you’re a Bronze V player who typically queues for Support/Mid. After your first game, you find yourself somewhere in Iron Tier, and you finish your placements in Iron III. You get autofilled less often than other players, which means less bonus splashing, but since you’re getting your main more, you’ll still rank up just as fast. Eventually you decide to get better at Mid lane so you can play it when you queue with your other Support friends. You notice you’re facing easier competition than what you’re used to in bot lane, which makes sense. After all, we want you to play fair games, but what that means for you is different depending on your skill in the position you’re currently playing. What if you always queue for your worst position and then swap for your best? Since we matchmake you based on the position you’re assigned, swapping with someone in champ select can give you a momentary advantage. That’s not a big deal when it happens occasionally, but over time it can hurt match fairness. To combat this, we added some new tech—which we’ve been testing in Normal Draft since summer—to accurately detect which position you play and whether you swap. When you trade positions frequently, we can tighten the links between your position MMRs. This means you may end up facing opponents who are better than you if you ever have to actually play the position you’ve been swapping away from. You climb steadily across all positions, but a little more slowly in any one than you would’ve last year. Ok, so what if you’re a player who hit Silver III last season by queueing Fill every game? It takes you a few more games before you finish placements for any one position since you’re bouncing around, but eventually you finish your Support and Jungle placements around Bronze III. Every game you queue Fill, you earn LP for the position you play, but you also get bonus Splash LP. Whereas a typical player might earn +3 LP to their other positions on a win, you’re earning closer to +7 LP. That means you’re probably climbing pretty quickly for the positions you play most often and you’re making progress in the others. Your climb is streamlined because, while your provisional rank is capped at Platinum I, you can climb into Diamond by the end of placements. Finally, imagine you’re a player who was high Master last season. Whereas previously the highest you could place was Platinum I, now that’s the highest provisional rank you can earn, meaning you have seven more games to make the push into Diamond. As you continue your climb toward the upper tiers, positional matchmaking has less of an effect on your games. Then, when you promote into Master, your position ranks combine into a single rank reflecting your spot on the ladder. Two weeks in, as Grandmaster unlocks for the first time, you claim your spot. Next up: Challenger. We’re doing some stuff to make your ranked experience better, like providing clearer feedback during placements, better matchmaking, more accurate ranks, milestones and meaningful goals regardless of skill, and new rewards for deep and ongoing engagement. If you want a quick refresher on our previous posts, check out the links below! Post 1: /dev: Updates to Ranked for 2019 — We started the journey all the way back in April 2018! In this post, we introduced our goals and high-level plans for Ranked 2019 to start a conversation with you. Post 2: What We Heard on Ranked 2019 — In this post, we summarized what we heard from you about those plans and goals. Post 3: /dev: Addressing Your Feedback on Ranked for 2019 — In this post, we discussed how we adjusted position ranks based on initial feedback we heard from you. Post 4: /dev: Next Steps for Position Ranks in 2019 — In this post, we laid out our plan for releasing position ranks: regional previews followed by a broader rollout to all regions worldwide. Post 5: /dev diary: New Tiers & Placements in Ranked 2019 — In this video, Primus, Thiago, and I detailed the new placement system and our plan for adding Iron and Grandmaster tier. Post 6: /dev: Top Tier Changes to Ranked for 2019 — In this post, we talked about how the top of the ladder would be affected by the Ranked changes. Post 7: /dev diary: Rewards and Splits in Ranked 2019 — In this video, we laid out the three-split season and how you’ll earn rewards this season. 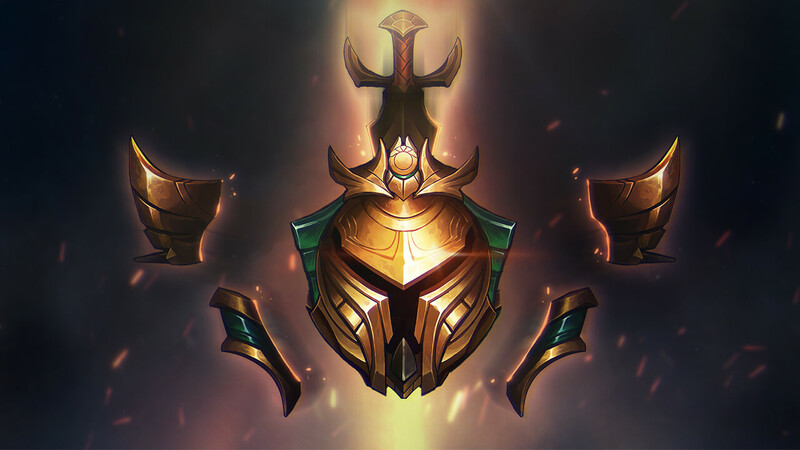 Post 8: /dev: More on 2019 Ranked Rewards — In this post, we answered a bunch of questions about split and season rewards. Post 9: /dev diary: Position Ranks Explained — Here’s the video that accompanies this /dev blog—check it out if you want to know why we’re doing position ranks, how it works, and how we’re rolling it out in stages. Post 10: /dev: Position Rank Stories — It’s the thing you’re reading right now! Continue on, Summoner. This one was pretty dense, but thanks for hanging in there. As always, we’re open to your feedback, so share it along with your concerns and comments—or, better yet, hit us up by clicking the Ask Riot button below. We’re looking forward to you trying out all the Ranked changes when the season kicks off on January 24. Thanks for playing, and we’ll see you on the Rift! SapMagic heads up the team working on Ranked. His favorite type of shirt (and meta) is tank tops.